Item number K2.179 from the MOA: University of British Columbia. Yellow-white robe with embroidery. 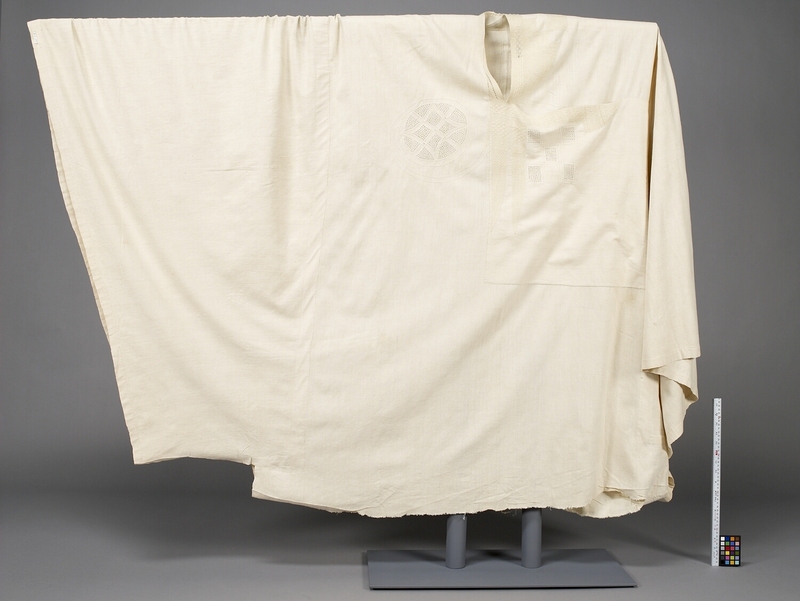 The robe is made of plain weave cotton cloth, with wide strips sewn together to give desired width. The front and back panels are sewn together along shoulder line, leaving an angled opening for the neck. One strip is not sewn across the top, creating a large pocket. The panels are also sewn at the bottom corners, narrowing the leg opening. 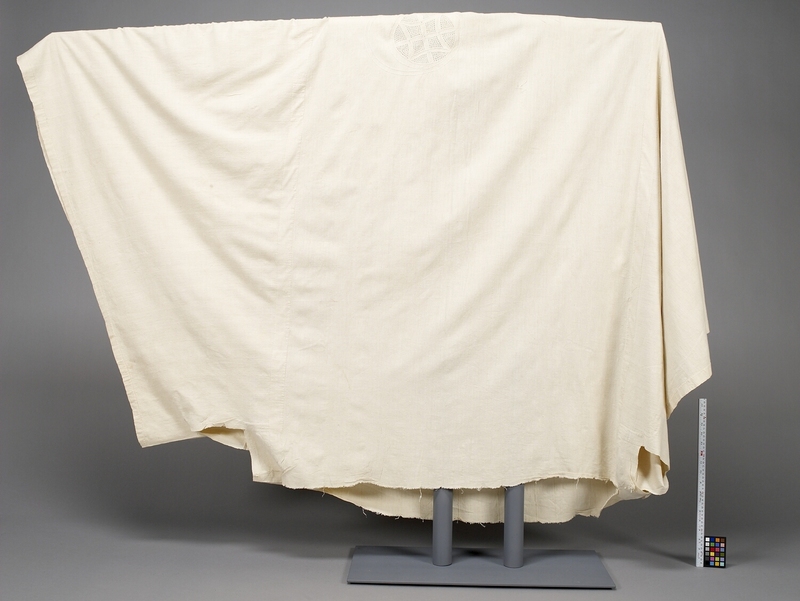 The front and back are embroidered in yellow-white cotton. The first design is of two downward pointing needles with a square motif. The second design is a pair of spiral circles enclosing a complex rounded motif. The back of the robe is embroidered with only the pair of spiral circles enclosing a complex rounded motif.